Imagine the courtyard of an abbey that's 1,000 years old with the granite crags of a steep hill in the background. As dusk approaches, hundreds of people find their places in rows of temporary seating. In front of them, once the sky turns fully dark, Jordi Savall and four other players take seats in comfy chairs on a raised platform. Could the concert have lived up to such a buildup? Most definitely. The ensemble played for two and one-half hours without a break - except to listen to Savall tune. At the end, folks were literally dancing in the aisles. The night was part of the annual series of concerts that Savall produces at Fontfroide, and Savall's work on the viola da gamba and viola da braccio were featured. Would Natalie MacMaster's modern fiddle work have produced more fireworks? Quite possibly. But Savall worked hard and Nunez provided sufficient energy to fuel the entire evening. 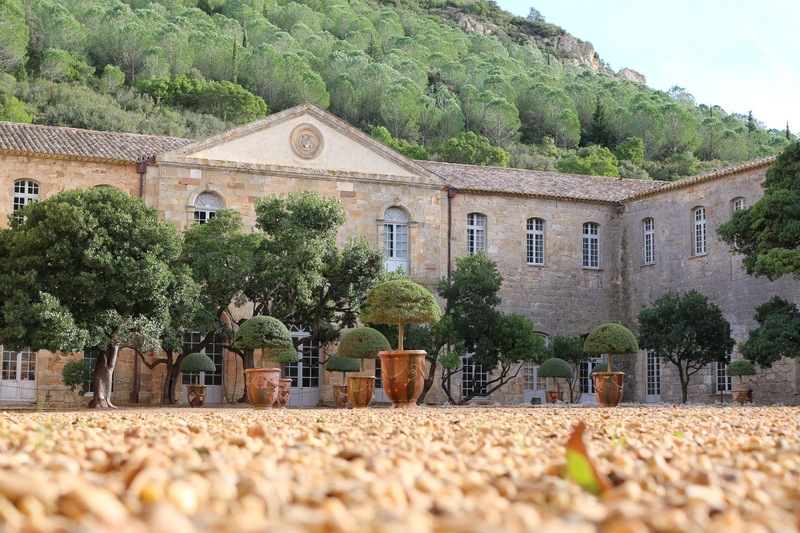 Every year Savall brings something different to Fontfroide. Last year we heard the music of slavery, from Africa to the Caribbean, from Brazil to Mexico to the American south. This year it was Celtic and Celtic-inspired music from Galicia and New Breton. We'll be on hand next year to see what else Savall has up his sleeve. This is wonderful music! It's great to be able to read and see what magic the world offers. My only wish is that the video would have been longer. Thanks! Thanks, David. You can search "Carlos Nunez" or "Carlos Nunez Munoz" on YouTube and find hours of good stuff.